General views of the re-enactment of the Siege of Carrickfergus Castle and the landing of King William at Castle Green, Carrickfergus. The event included re-enactment groups from across the Northern Oteland, all dressed in period costume followed by a Pageantry parade to meet King William upon his landing at Carrick Harbour. Credit: Kelvin Boyes / Press Eye. 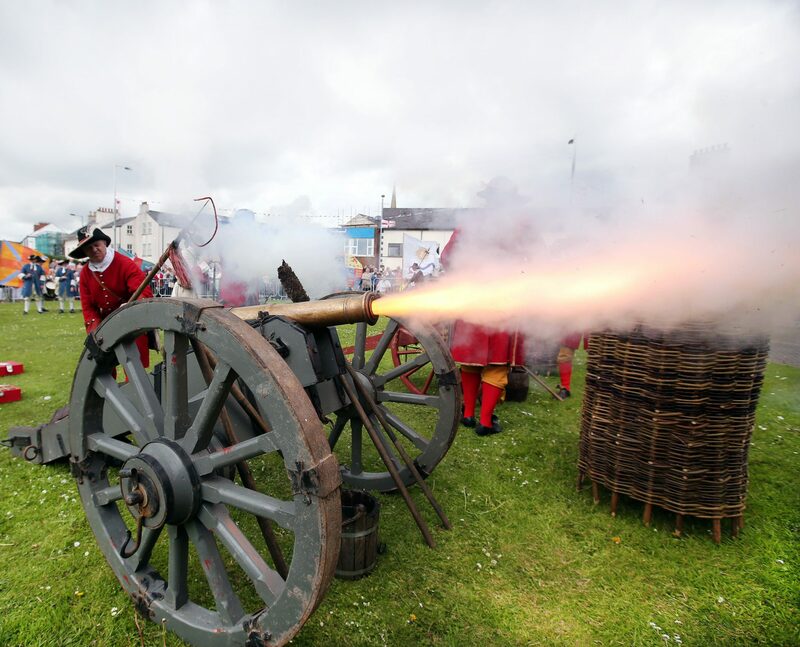 Carrickfergus is bracing itself for a spectacular display as the re-enactment of Schomberg’s Siege takes place on bank holiday Monday. The popular free event gets underway on the Castle Green on 27 August and will see re-enactment groups from across the country bring the famous battle to life. All spectators can travel back in time and witness Carrickfergus Castle under siege by King William III’s forces, led by the Duke of Schomberg against the Jacobite Irish commanding forces that took place in 1689. 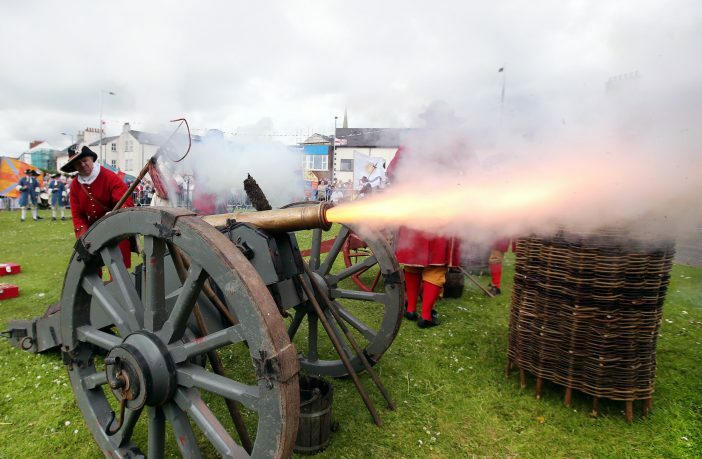 As well as the live cannon and musket firing, residents and visitors will be able to visit the military encampments and there will be free family entertainment this year with street entertainers, stilt walkers and face painters. The Mayor of Mid and East Antrim, Cllr Lindsay Millar said: “This promises to be a fantastic day out for the family. This annual event marks an important milestone in the history of both the castle and the town. The free event will run from 12-4pm and is organised by Mid and East Antrim Borough Council.